Registration for our January 31/February 1 Sebring event is now closed. We are at capacity for this event. 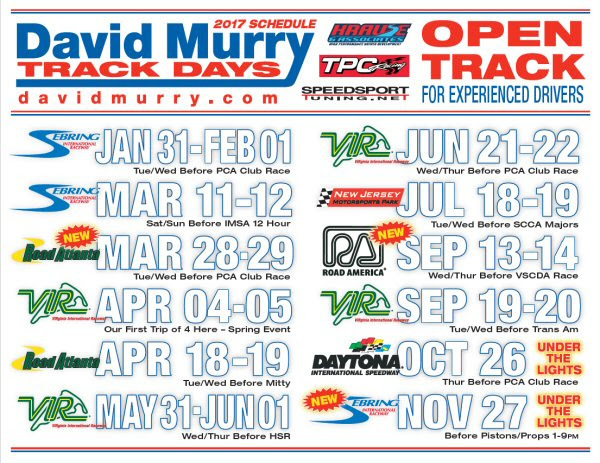 We have space available in our next event Saturday/Sunday, March 11-12 also at Sebring. There will be a complimentary concert immediately following our event starting at 4:30pm March 12 provided by Sebring International Raceway. We also have the Ferrari CCR group running races during lunch and at day's end. Great event with a lot to see combined with 14 hours of track time. We hope you will join us. 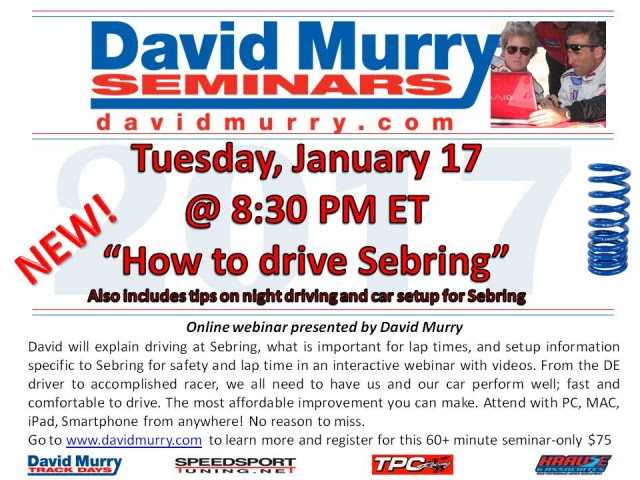 "How to Drive Sebring" webinar tomorrow evening, January 17 @ 8:30pm. This webinar will be recorded, you will have access to it anytime as often as you like. Click here to register.